Already tried everything, from reinstalling the game to changing phones, still the same. The odd part is, if i login in with my account on another phone, it works just fine. Maybe something related to my apple id? i dont know… Using latest IOS on Iphone XS. Apple ID shouldn’t be the problem. Your phone shouldn’t be the problem. How have you contacted Niantic? Reporting as a bug at Niantic Support - No response. 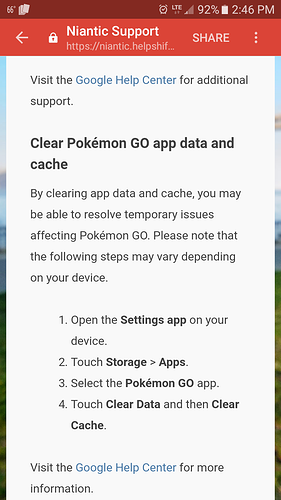 Twitting the issue to Niantic Support - No response. Reinstalling the game - Nothing. What make and model of phone do you have? I know you’ve reinstalled, however it’s possible the cache stays behind when uninstalling incase you decide to reinstall. Use Itunes to revert your Iphone to before the latest update. Open the app, see if it works. If it works (and it should), it´s a problem from the new version. Remove the app, update the IOS, reinstall the app. It should start working again. It´s a new stupid check from Apple that is getting some apps blocked, if you are using a third party software. Even worst that the latest update gets stuck on checking some apps, when it´s been installed. Yes, i deleted the app from the phone settings menu (clearing the cache) and re-downloaded the game. Still getting the error. Uhmm, i tried restoring the iphone from a itunes backup but i guess it already came with the latest update… I’ll try to restore it to a previous version! I will keep you updated. Thanks!